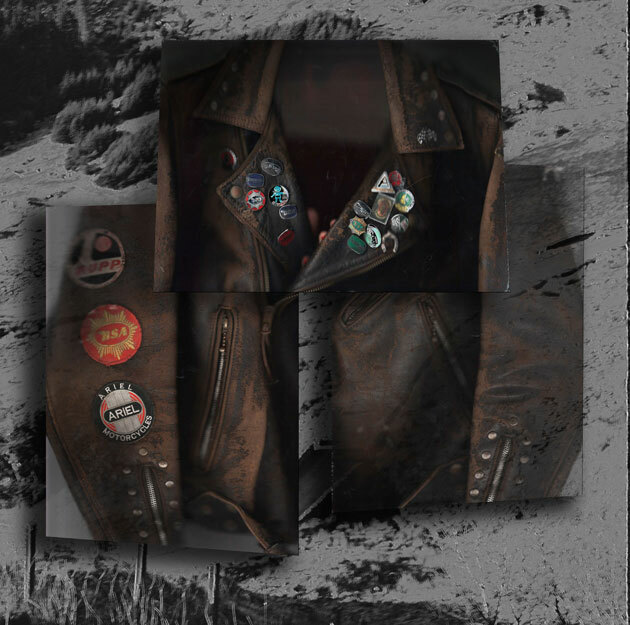 When British outerwear brand Belstaff decided to build its archive from scratch, it enlisted the help of Doug Gunn, co-founder of The Vintage Showroom. 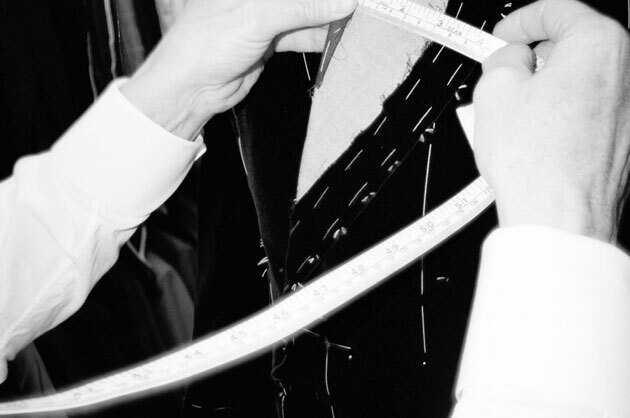 These days, every good fashion brand knows the importance of a sharp edit. And while it counts to have a well-curated shop floor, it also makes good sense to put the company’s design archives in order. 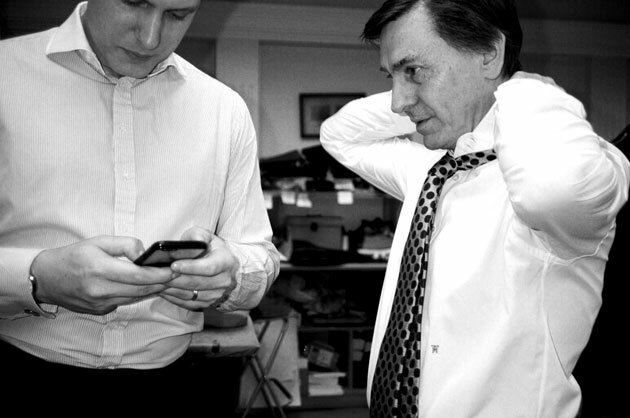 Cue the rise of the fashion archivist. These experts plunder the company vaults to find valuable pieces and scour the globe in search of missing treasures. Such is the job of Doug Gunn. 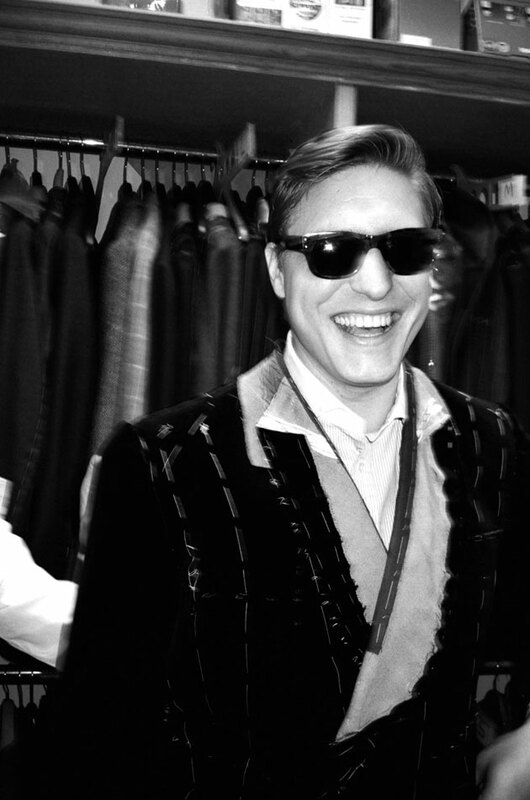 As co-founder of The Vintage Showroom – an Aladdin’s cave of menswear pieces spanning most of the 20th Century based in Covent Garden – he is charged with chronicling Belstaff’s past. 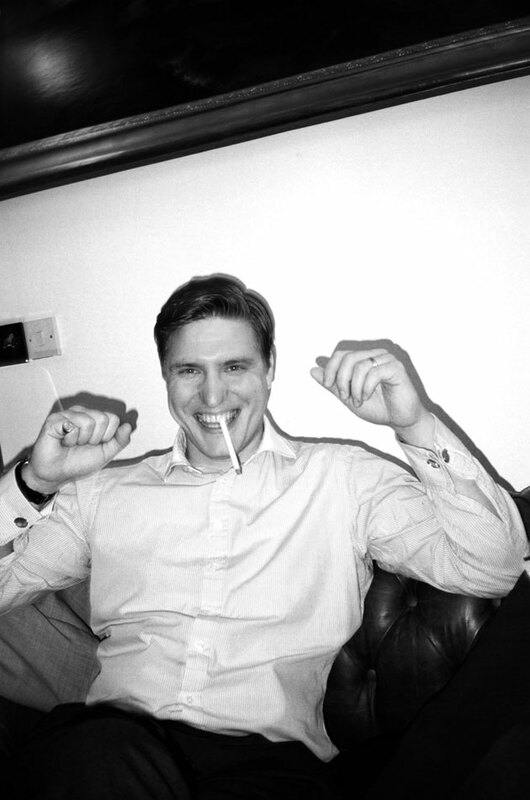 A sample of Doug’s findings can be seen at Belstaff’s Bond Street store. The mini exhibit stems from a broader 150-piece archive created to coincide with the brand’s centenary in 2024. The glass display cabinets hold a variety of items from a 1930s tent – a reminder of Belstaff’s early days as a producer of protective fabrics – to the moto-culture of the 1950s, ‘60s and ‘70s. One section is specifically dedicated to Belstaff’s coloured and striped leathers, which along with the seminal 1971 film “On Any Sunday” starring Steve McQueen, is part of the inspiration for its latest men’s collection. Other retro elements can also be seen in the current women’s capsule line inspired by Belstaff’s latest brand ambassador, Liv Tyler. 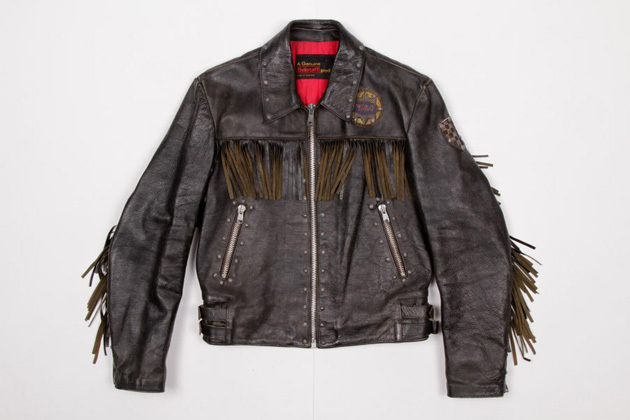 Meanwhile, there have been some lucky finds along the way, including a wax trail master jacket which was purchased at the auction of Steve McQueen’s estate. 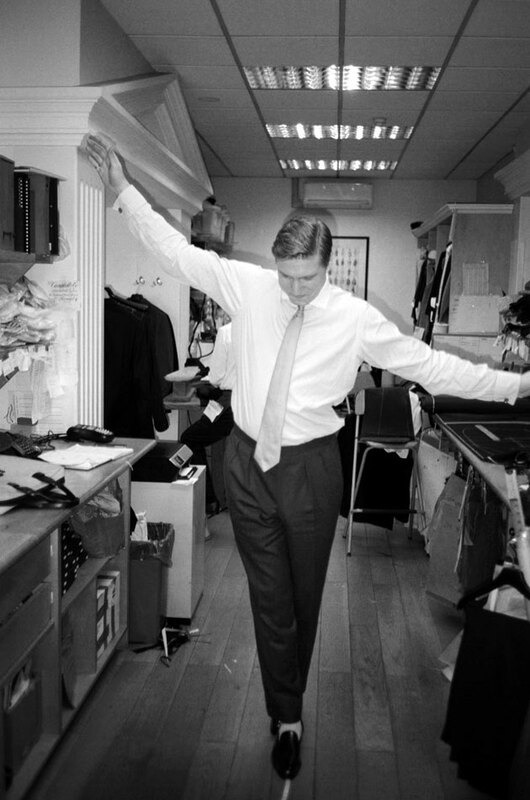 A heavy gabardine rider’s coat, which George Formby gave to a dancer one night in Manchester, also made its way into Doug’s hands. It came with a handwritten note in one of its pockets from the lady in question to say she had been working in a theatre production with Formby and having stepped out without a coat, he gave her this. In addition to discovering early Belstaff logos, Doug would use slanted pockets, zips and rivets to date each piece accurately and form a timeline. The 1960’s saw the start of the first real injection of colour. This is evident in a ladies’ turquoise rubberised Scooterjack jacket from the same era. Of course the leather has also come a long way since Belstaff’s beginnings. As Doug says: “The leather in the 1940s and ’50s was really aimed at motorcyclists whereas obviously now, as the brand has progressed, the leather quality has improved greatly. It has much more of a luxury hand to suit a more refined silhouette.” And with that he is off, no doubt in search of more unique finds. 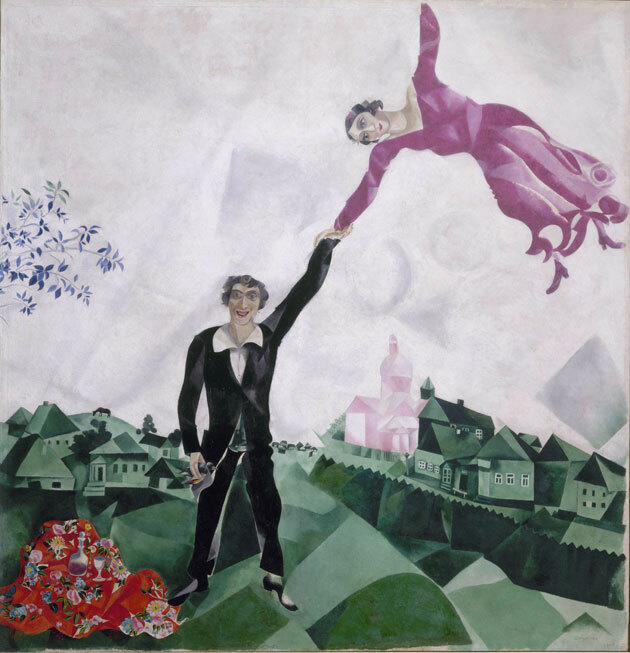 The Royal Academy’s latest exhibition, Revolution: Russian Art 1917-1932, showcases great works from this turbulent, yet dynamic period in Russia’s history. The show commemorates the centenary of the Russian Revolution and is arranged thematically, beginning with the revolutionaries. 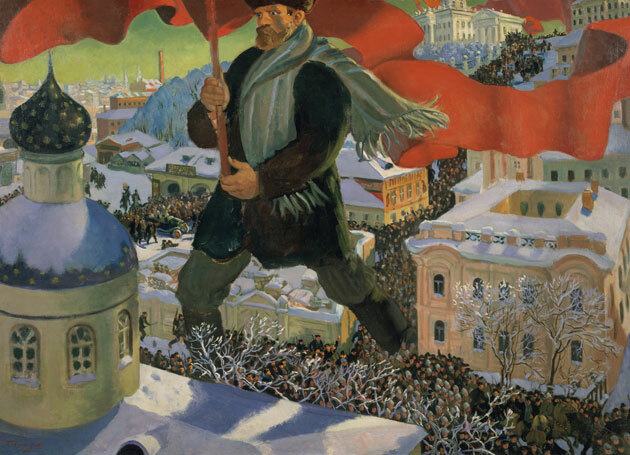 Boris Mikailovich Kustodiev, Bolshevik, 1920 for instance depicts a giant figure of a freedom fighter holding a red banner and striding high above the spires of a town. Fantasy, 1925 by the celebrated Soviet painter and poet Kuzma Petrov-Vodkin meanwhile, shows a man astride a red-coloured horse – its coat the colour of the revolution, its message one of hope, of galloping into the future. Russia’s proletarian worker heroes are celebrated in a section labelled ‘Man and Machine’. This series of posters, paintings, films and textiles boast of industrial strength and prowess. 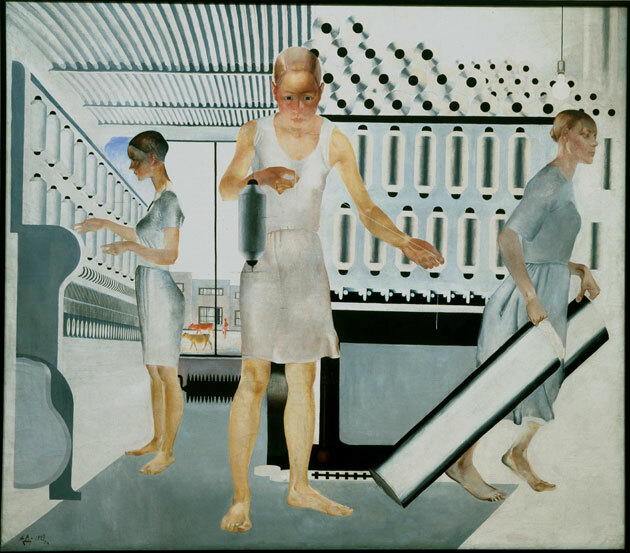 Textile Workers, 1927 by Alexander Deineka shows women in simple slip dresses going about their business in a bobbin factory. I’m struck by the way in which this scene has been painted, the stark interior and the women’s understated clothes looks almost of the now. 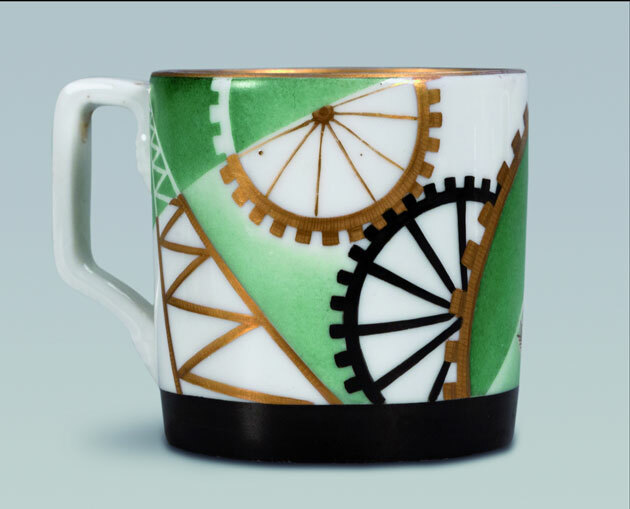 Elsewhere, Lyudmila Protopopova’s A Cup for Serving Tea carries a jaunty cogwheel print that you can imagine finding at Heals. Paintings in the designated peasant category are also sublimely minimal and abstract. Here, farmworkers as exemplified by the Russian painter Kazimir Malevich, lack facial features to symbolise a sense a loss of identity. Malevich was himself an early pioneer of geometric abstract art. There are also works by more familiar heavyweight artists dotted around the rooms. These include Marc Chagall’s Promenade 1917-18 and Wassily Kandinsky’s famous Blue Crest painted in 1917. For me though, the ultimate jaw-dropping moment occurs in one of the gallery’s smaller rooms – home to Vladimir Tatlin’s glider. Suspended from the ceiling and crafted from steamed and bent ash wood, it plays to the artist’s fascination with bird skeletons and insect wings. As the piece gently revolved around the room casting ethereal shadows onto a white canvas backdrop, I was utterly transfixed; so much so, I could have watched it silently rotate for hours. Instead, I drift back out into the real world intent on keeping this newfound sense of calm for as long as possible. Revolution: Russian Art 1917-1932 runs until Monday 17th April at the Royal Academy of Arts, Burlington House Piccadilly.